That’s right, we have another new fabric headboard that you are absolutely going to love! So we thought we would write a blog post about it. With all of the important information you need to know. This fabric headboard is a little bit different from all of our others. And so I’m actually really excited to tell you all about it. I really hope you love it as much as we do. 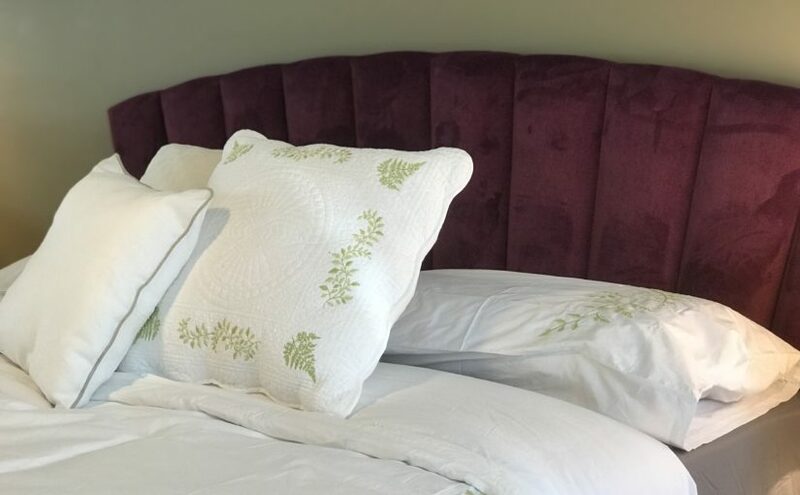 What is the new fabric headboard called? The most important question of all – it’s called Shell. Why? Hmm, do I really need to answer that question?! Which beds comes with the shell headboard? That’s the beauty of our beds. Each bed can come with or without a headboard. And if you would like to add a headboard, you can add any headboard on to any bed base. So the answer to that question, is all of them. 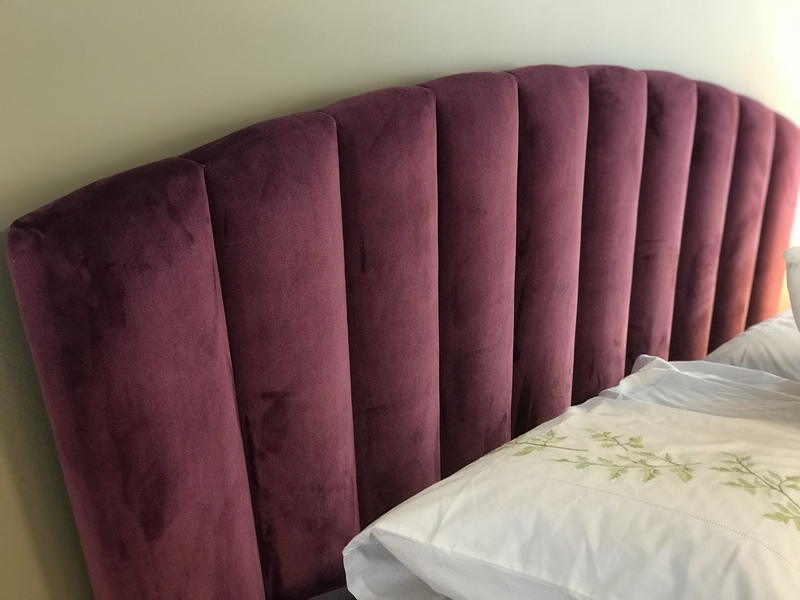 What fabrics can the Shell headboard come in? Our beds are all made to order. So essentially you choose how you would like us to make it for you. That also means, you pick the fabric. We have thousands of different fabrics to choose from. Leather, Wool, Linen, Velvet, Suede, Woven, Patterned, you name it and we’ve probably got it. But if you can’t find a fabric that you like, then you can also supply your own fabric. So I suppose the answer to the question is, limitless. Can I see the shell headboard in the flesh? Absolutely yes. The shell headboard is available to see at our London Showroom. You do have to book an appointment to visit, but you can do that here. 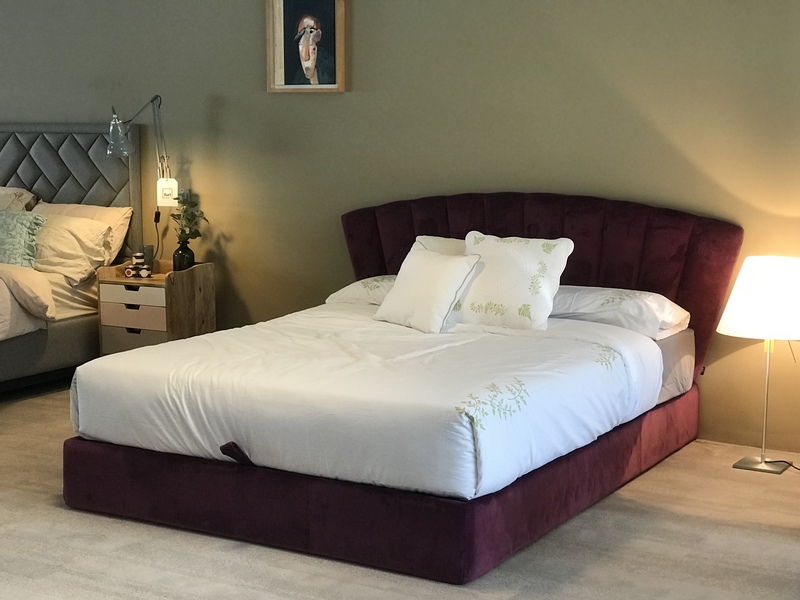 It’s paired at the showroom with our Low Storage bed, which still has a whopping 24cm of storage. It’s upholstered in a high pile Linwood Velvet too. So, do you love it? I really hope so. Next Next post: Have you heard of a Pilates Spine Corrector?